Bless the Lord oh my soul and all that is within! Bless Your holy name! What a peace and joy that overflows in my heart this morning! I slept well and it feels good. Haven’t had much of that for a while. Well I want to share my heart and my prayers with you first of all. God is wonderful, magnificent, mighty, powerful, gracious, and the list goes on! My heart is reaching out to His people this morning. How can I not pray for you? Tears flow from my eyes hoping and praying that you stand firm in belief that God will supply you with everything that you NEED. “Good morning Father, I come thanking you for being You, never failing to watch over us and seeing after our welfare. May all that we think, say and do be for your kingdom. Show us your ways, your precepts for our daily living. Refresh and renew our way of thinking. Please stir up that fire within our belly to seek you daily. Remove the scales from our eyes that we may see clearly; to be of help to those in this world who need to be uplifted and encouraged through their hardships. May your spirit fall fresh on us this day. What a refreshing thought to know that God is of love. He is LOVE. What a true and loving Father to us all that he is… wanting the best for us. I was reading my daily emails and such a sweet message fell on my heart. I always said that I wanted to be a woman after God’s own heart for years and I do strive to do that to this day, but I need to pursue Him more. I do not want to become complacent knowing that I have my knight in shining amor available to me when I want Him. I need to actively pursue Him. He loves me and I love Him. I desire to want the things that He wants, to live my life according to the will set for me, to walk in the calling that has my name written on it. I need to run like never before. Run after The One who gives me everything I need and blesses me more and more each day even though I don’t deserve. If I don’t have anything else, I should be content with just Him. “What will it take?”, I ask myself. A lot of dedication, praying, seeking His guidance, denying the flesh of what I want. I need to take up my cross daily, read His Word and embed it into my heart. The Holy Spirit has prompted my heart at times over various things, brought to remembrance scriptures that has been food for my soul for such a time as this. Thinking on these things, I think it’s time to buy a new pair of running shoes and go after the Love of my life. I never want to settle and become “comfortable”. 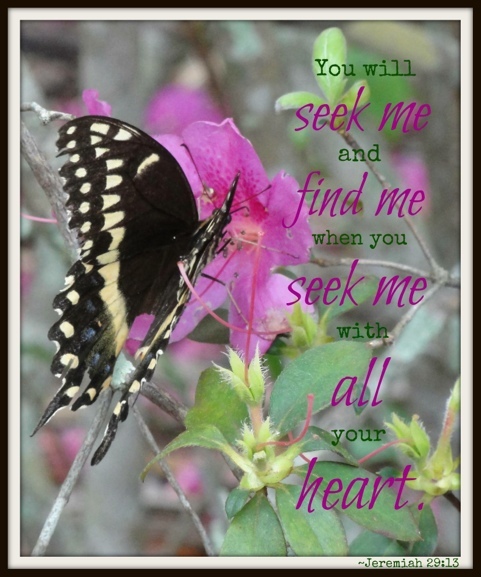 My desire is that we all seek to be that man/woman after God’s own heart. I pray that we put on our running shoes and run like never before. It is never too late. He is waiting on you and myself like a gentleman. He won’t force himself upon us. The best part is that we won’t have to wait until we get to the finish line to run into His arms. He is right beside us! Much love, prayer, blessings and encouragement for you this day and those granted to each and every one of you…..